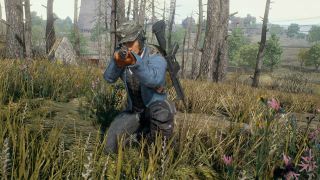 The hugely successful battle royale multiplayer PlayerUnknown's Battlegrounds has taken the title of most concurrent players on Steam. It knocked Valve’s own game Dota 2 off the top spot with over 1.3 million players. If you’re interested in specific number crunching, at the peak there were 1,342,857 people all vying for survival at exactly the same time. Interestingly, according to a recent blog post from Bungie (the developers behind Destiny 2), it has recently experienced similar concurrent numbers. According to Bungie on September 14 “the total number of players online at the same moment, battling aliens and making the world safe, [was] over 1.3 Million”. As it hasn’t released exact numbers, we don’t know which had the higher player count this weekend. However, Destiny 2 is fresh out of the gates with a major marketing push, while PUBG has been playable for months, with numbers that have steadily grown over this time. However, when it comes to raw numbers, both are dwarfed by League of Legends, which (if its blog is to believed) achieved concurrent numbers in excess of 7.5 million players back in 2014.